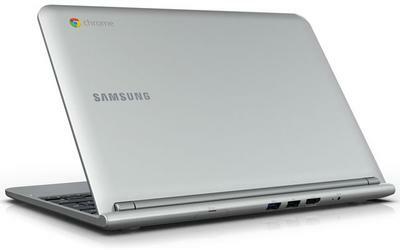 The new netbook is the Chromebook laptop! When Chromebooks first came out, I was extremely dubious of their value. Price-wise, you can literally buy a fully powered laptop for the same price or lower, as Chromebooks can range from $150 to over $1,000. However, I can honestly say that now we own two of them that we purchased for our kids, and the whole family loves them! In addition, I use it for traveling instead of bringing my laptop with me. Using Google Remote Desktop I can leave my laptop on at home, and access it via the Chrome OS to essentially use the full power of my laptop via the Chromebook. One of the main benefits is that it's simple and fast. There are no drivers to manage, nothing gets bogged down and slow from crapware getting installed when installing new software, and all of my data is on the cloud, so any catastrophic hardware failure, or physical loss, doesn't impact my data. I love it for the kids, because there's nothing for them to screw up! No settings that will cause major problems if they start poking around, and nothing meaningful for them to uninstall or delete. It just works! Similar to the Chrome browser, Chrome OS is always up-to-date, and updates never result in my having to troubleshoot why apps have stopped working, or determine why the system has slowed down. This pain is often the case when updating Windows machines. Each family member has our own login, so installed apps, settings, and browser bookmarks remain separate, and sync with the Chrome browser settings on other devices. It's truly seamless! Similar to regular laptops, Chromebook laptops come with every feature you can think of. 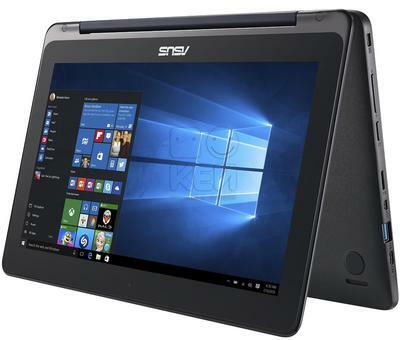 You can get a regular screen or touch screen, you can get one that folds like a standard laptop, or one that can be used like a tablet, similar to the Lenovo Yoga series where the screen folds all the way around. They come in various screen sizes and resolutions, and battery life can generally be described as awesome. Unlike a lot of tablets, Chromebook laptops have USB ports and SD or microSD card slots for storage. If you're a power user of games and graphics/video editing, Chromebooks won't be for you. However, I would argue that for 90%+ of the population who just uses social media, Internet browsing, and email, will have all of the features and power that you'll need. buy what they want still remains to be seen, however, I know from my kids at least, that they love using them. In addition, Chrome OS now also supports the installation of Android apps, so limitations that people used to complain about have largely been overcome. In our household, we took advantage of this capability to install Skype so the kids can easily Skype with their grandparents. This also has the added benefit of my not having to follow them around worrying about how they might screw up or drop my laptop! What are some of the limitations of Chromebook laptops? I'm one of those people who still likes to store photos on my laptop, so I need a good amount of storage. I use external drives for backups, however, I like to have instant access on my native laptop. Chromebooks simply don't have sufficient local storage to accomplish this. Once expandable memory cards of 1TB or more can be purchased for $50 or less, I could see using that for onboard storage, however, we're not quite there yet. There's also no easy way to upgrade these devices. Popping in additional RAM is something I've always done on my laptops as they age. Also, replacing the battery has always been a luxury I've enjoyed with larger laptops. Though a lot of ultrabooks and certainly all MacBooks can't be easily upgraded. Chromebook laptops share this disadvantage as they are typically sealed, and not user serviceable. It's also important to note that Chromebook laptops require Internet access to accomplish most tasks. So if you're traveling and offline for any period of time, you'll need to store required documents locally, and will be limited as to what you can accomplish. That said, when your normal computer is offline, I think most of us feel that it's pretty useless as well. Even when using productivity apps like Word or Excel, there's rarely a time where inputs for those require that I lookup someone online! Lastly, I have to note that although they support wireless printing, setting them up is a massive pain, and I only successfully accomplished it one time. After getting the second Chromebook, I never successfully completed the printer setup, which has been extremely frustrating. When Chromebooks first launched, I really thought they would never catch one. I really didn't understand the point of them, particular since super small laptops (a.k.a. netbooks) were already on the market, and seeing limited adoption. 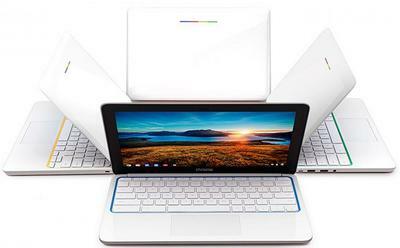 However, although adoption for Chromebooks was very slow, they really have found their place amongst laptops, ultrabooks, tablets, phablets, and smartphones. If you haven't had any hands-on experience with a Chromebook laptop, I highly recommend that you take a look! Thank you for your comment. It definitely should be that easy! My printer is never in the list despite absolutely being on the same network. I'm prompted to register it, which I do, however, then I run into issues with it being registered on the wrong profile (there are 4 on each Chromebook). Chrome OS has received a number of updates since I last tried, so I'll definitely take another look at it! I had no problem setting up printing with my five year old HP 7510 printer. It's easy if you have a printer connected to you home WiFi network. Then you just go to Settings>Printer>Add Printer and pick you printer from the list. That's it! Much easier than setting up a printer in Windows. You need 1TB or more on your local drive to store photos? Good grief, you must have a lot of photos!